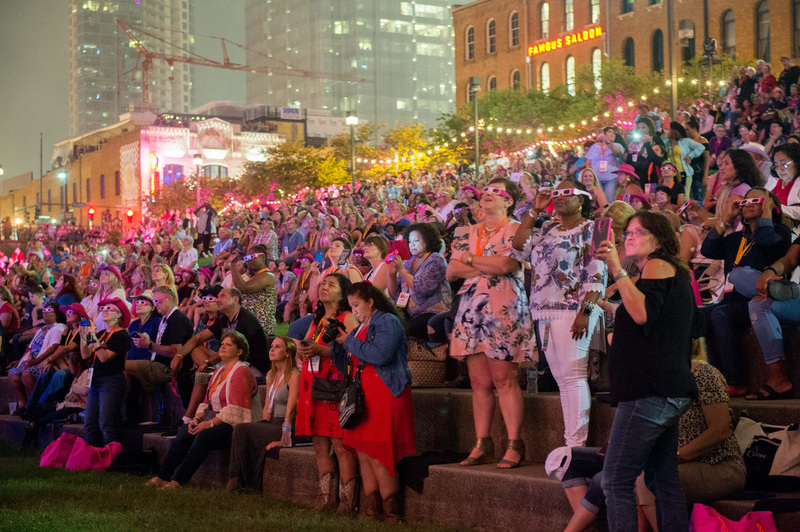 (New York, NY, August 8, 2017) – New Avon LLC (“Avon”) brings its second annual “RepFest” Conference to a close after 6,000 independent sales Representatives rocked Music City from August 5-7. 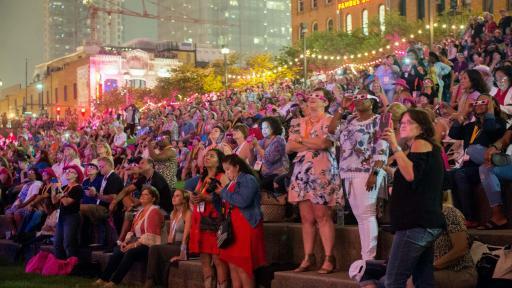 Beauty Bosses from across all fifty states traveled to Nashville’s iconic Gaylord Opryland Resort to attend the three-day celebration – complete with social selling business-building seminars, introductions of exciting new product launches, and recognition events for its top Representatives. 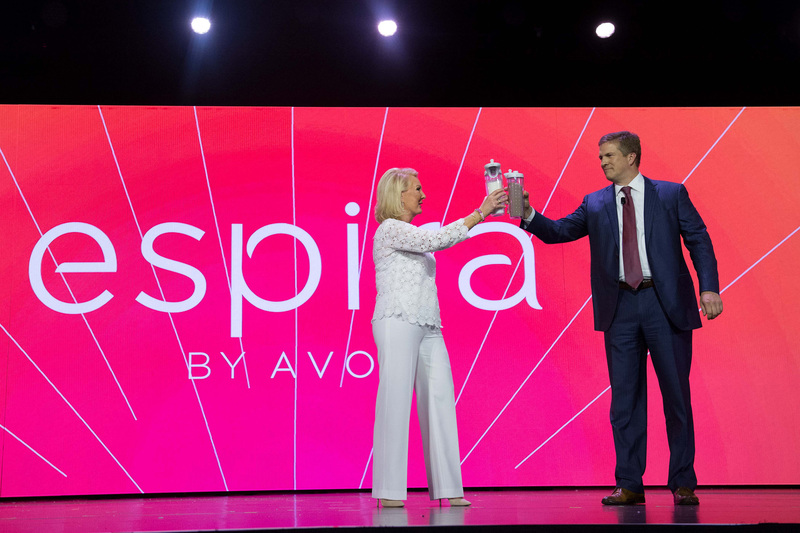 To kick off the festivities, Scott White, Chief Executive Officer of New Avon, and Betty Palm, U.S. President of Social Selling for New Avon, addressed guests with inspiring keynotes on the company's commitment to its Representatives, as well as their vision for Avon’s future. 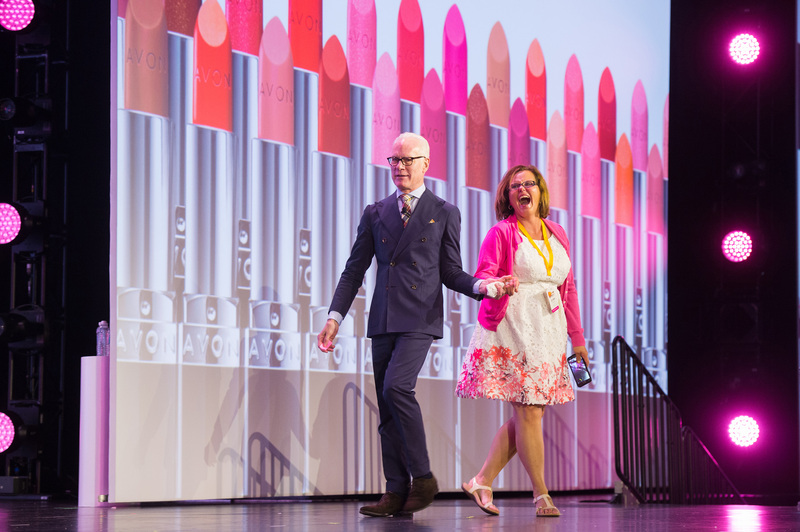 Among the most buzzed-about moments in the RepFest lineup was the announcement of Avon’s upcoming partnership with Lifetime’s critically-acclaimed and Emmy nominated design competition series “Project Runway.” The show’s renowned host and mentor, Tim Gunn, surprised the audience when he took the stage to announce that Avon will be the official makeup sponsor for the series’ 16th season, debuting Thursday, August 17 at 8 p.m. ET/PT. An advance preview of the company’s health and wellness launch, Espira, coming in January 2018. 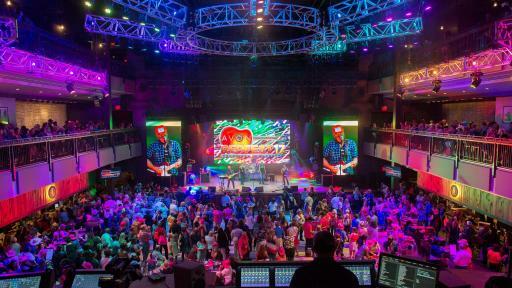 The unveiling of Avon’s new “Drive Like a Boss” incentive program, including a Mini Cooper giveaway to one lucky Avon Representative, Irma Eguia of Dallas, Texas. The launch of the Avon Breast Cancer Crusade’s new Do-It-Yourself (DIY) online fundraising platform and its “Shop for Greater Goods” Pink Hope and Purple Peace collections, featuring limited-edition fundraising products benefitting the Avon Breast Cancer Crusade and Speak Out Against Domestic Violence programs. An inspirational keynote by best-selling author and motivational speaker Jon Gordon, who shared his words of wisdom with Representatives to encourage them to tap into their full potential. An invigorating speech by admired speaker and author Kindra Hall on the power of storytelling. Influencer and speaker Victor Hugo Manzanilla shared his brand building success tips and key motivational techniques on leadership. Skincare and makeup certification classes designed to build Representatives’ knowledge and expertise, hosted by celebrity makeup artist, Kelsey Deenihan and acclaimed dermatologist, Dr. Kim Nichols. 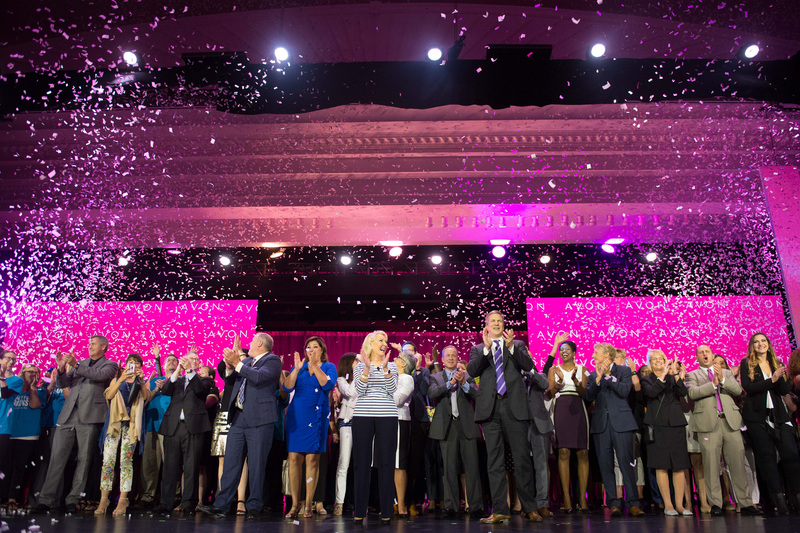 Educational and immersive seminars for Avon Representatives across all different stages of their "Boss Life" journey and led by the best in the business - successful Avon Representatives. A “Rock on the River” concert and Riverwalk takeover featuring local bands Champagne Dynamite, Adair’s Run, Sixwire and musician Tom Yankton. 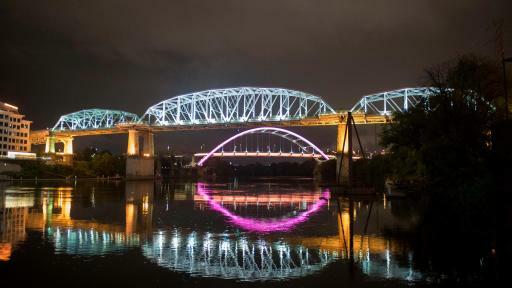 An illumination of the unmistakable Nashville Pedestrian Bridge lit up in Avon’s signature pink hue. 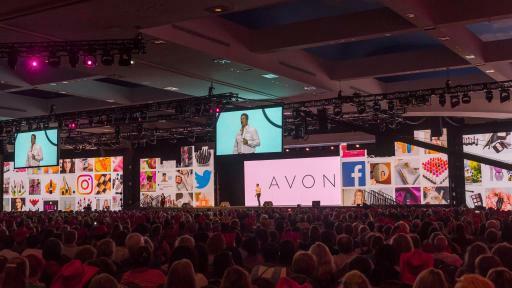 Those interested in becoming an Avon Representative, or finding an Avon Representative to purchase products, visit avon.com. 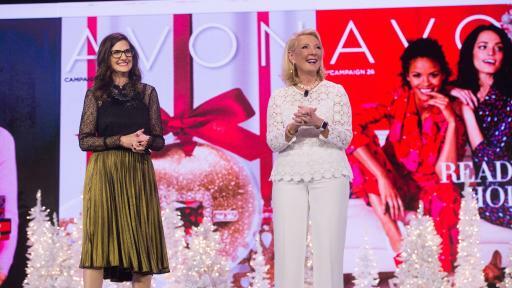 New Avon LLC (“Avon”) is the leading social selling beauty company in North America, with independent sales Representatives throughout the United States, Puerto Rico and Canada. Avon’s product portfolio includes award-winning skincare, color cosmetics, fragrance and personal care products, featuring iconic brands such as ANEW, Avon Color, mark. by Avon, and Skin So Soft, as well as fashion and accessories. 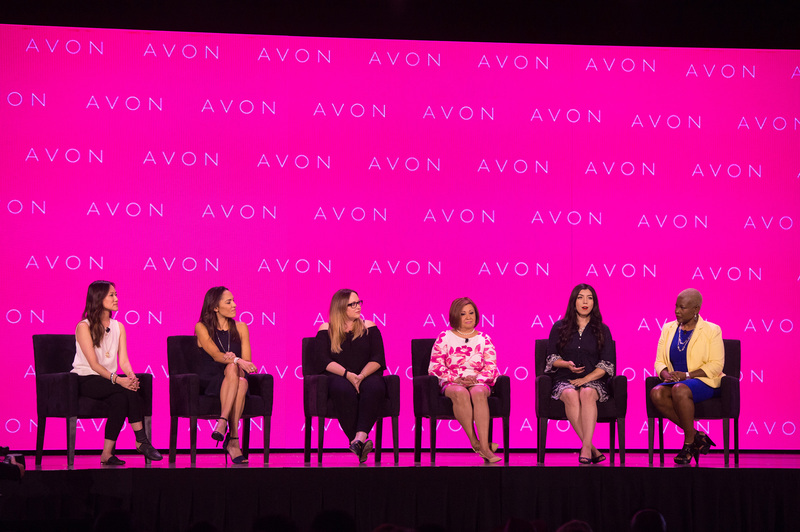 Avon has a 130 year history of empowering women through economic opportunity, and supporting the causes that matter most to women. 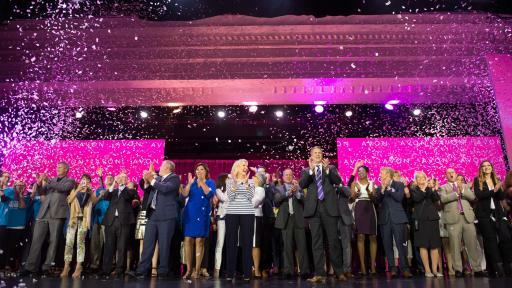 Together, Avon and the Avon Foundation for Women have contributed over $1 billion globally toward eradicating breast cancer and domestic violence. Learn more about Avon and its products at www.avon.com. Hosted by Emmy® Award winner, supermodel and fashion connoisseur Heidi Klum, the hit Emmy®-nominated series “Project Runway” provides budding designers with an opportunity to launch their careers in fashion, under the watchful eyes of mentor and co-host Emmy® Award winner Tim Gunn and judges Nina Garcia and Zac Posen. “Project Runway” is produced by The Weinstein Company, Bunim/Murray Productions, Full Picture Entertainment, and Heidi Klum Company. Executive producers include Bob and Harvey Weinstein (Co-Chairmen of The Weinstein Company) and Patrick Reardon and Barbara Schneeweiss of The Weinstein Company, Jonathan Murray and Sara Rea of Bunim/Murray Productions, Heidi Klum, Jane Cha and Desiree Gruber of Full Picture Entertainment. Mary Donahue and David Hillman of Lifetime also executive produce, and Gil Goldschein and Teri Weideman of Bunim/Murray Productions serve as Co-Executive Producers. Tim Gunn serves as a producer. Lifetime is a premier entertainment destination for women dedicated to offering the highest quality original programming spanning scripted series, non-fiction series and movies. The critically acclaimed UnREAL, Project Runway, Dance Moms, Bring It!, The Rap Game and Little Women franchises anchor the network’s programming, in addition to its over 25 original movies annually that continue to define the TV movie genre. In 2015, Lifetime launched Broad Focus, a major global initiative dedicated to supporting and hiring female directors, writers and producers to make its content which totals over 450 original hours. Lifetime Television®, LMN®, Lifetime Real Women® and Lifetime Digital™ are part of Lifetime Entertainment Services, LLC, a subsidiary of A+E Networks. A+E Networks is a joint venture of the Disney-ABC Television Group and Hearst Corporation. 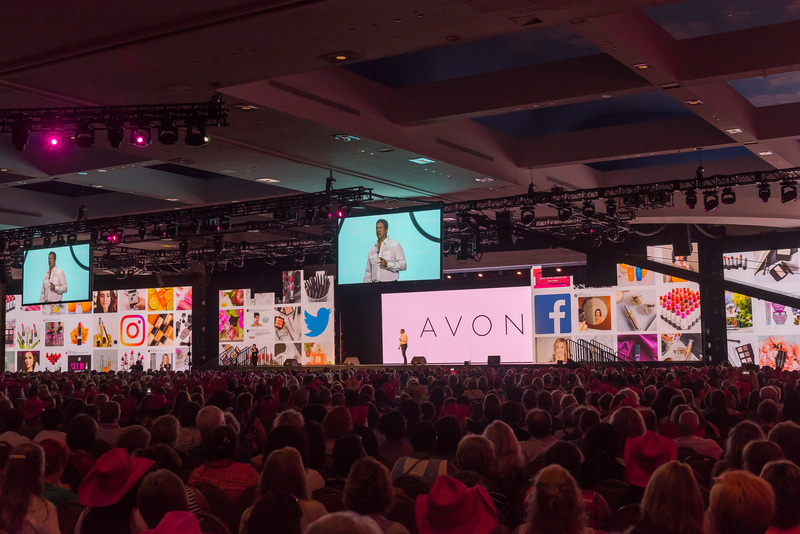 Scott White, Chief Executive Officer of New Avon speaks before 6,000 Avon Representatives at RepFest 2017. 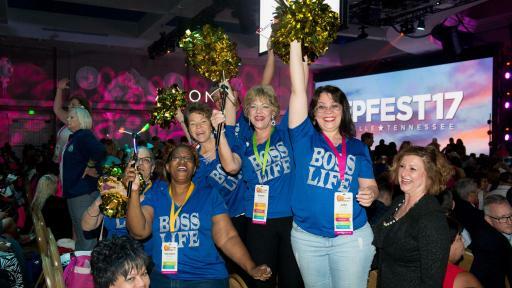 Avon Representatives "rockin out" at RepFest 2017 Nashville, held at the city's iconic Gaylord Opryland Resort. 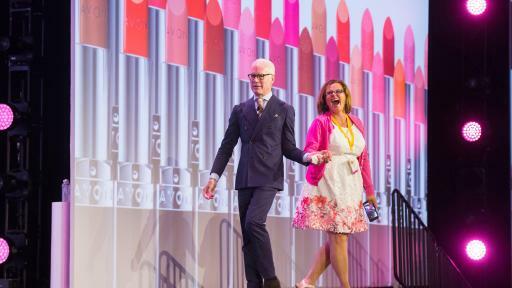 Tim Gunn surprises a crowd of 6,000 Avon Representatives including JoAnn Farmer of Crewe, Virginia at RepFest 2017. 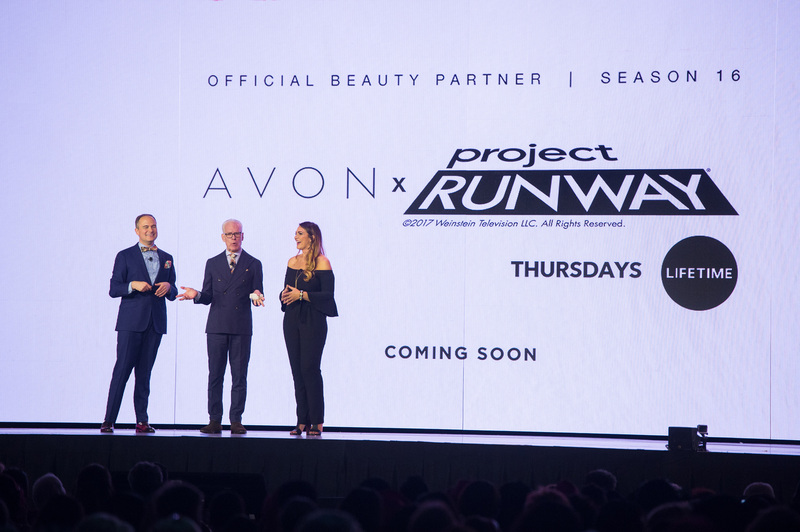 Tim Gunn announces Avon as official beauty sponsor of "Project Runway," Season 16. 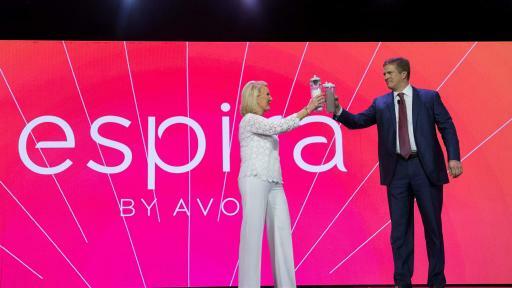 Scott White, Chief Executive Officer, and Betty Palm, U.S. President of Social Selling, celebrate the launch of Espira, the new health and wellness line by Avon, coming in January 2018. 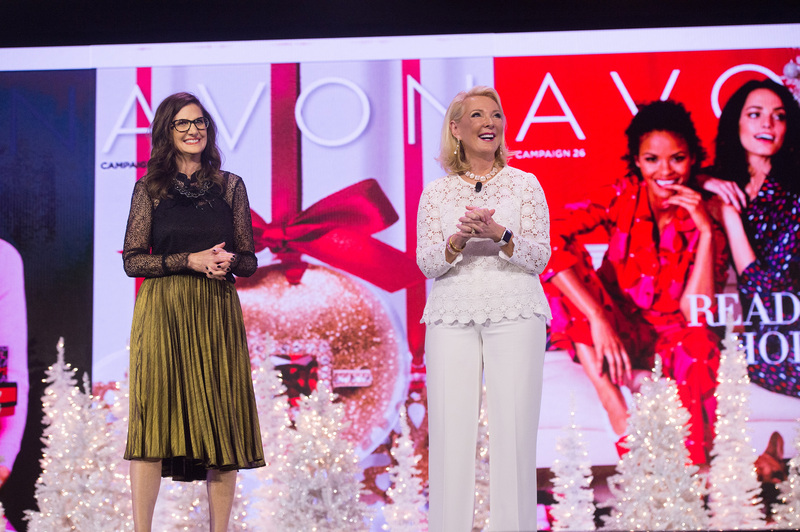 Debi Theis, Chief Merchant, and Betty Palm, U.S. President of Social Selling, unveil Avon’s 2017 Holiday Collection to Avon Representatives. 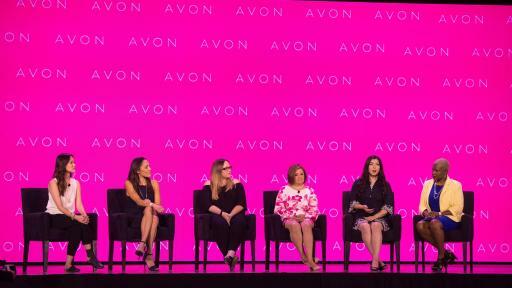 A RepFest beauty trends panel discussion with Avon Representatives, Avon Consulting Dermatologist Dr. Kim Nichols, Avon Celebrity Makeup Artist Kelsey Deenihan and Avon marketer Debbie Lee. 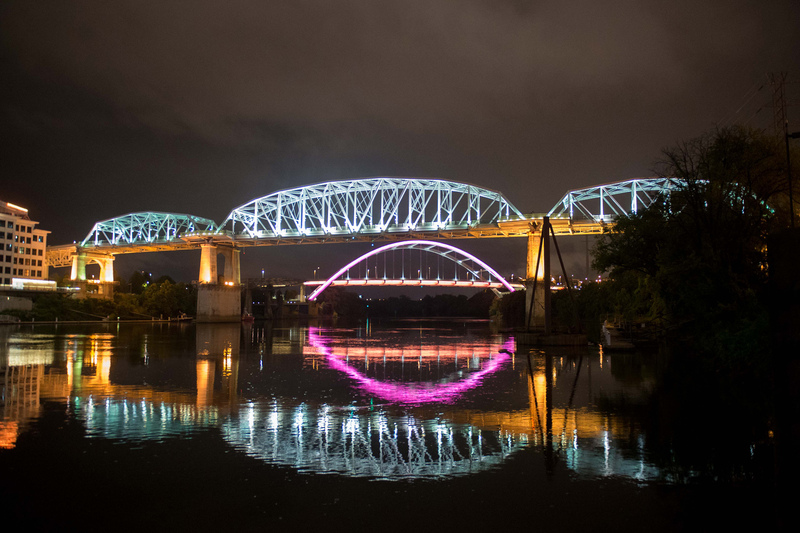 The Nashville Pedestrian Bridge lit up in Avon’s signature pink hue for RepFest 2017. 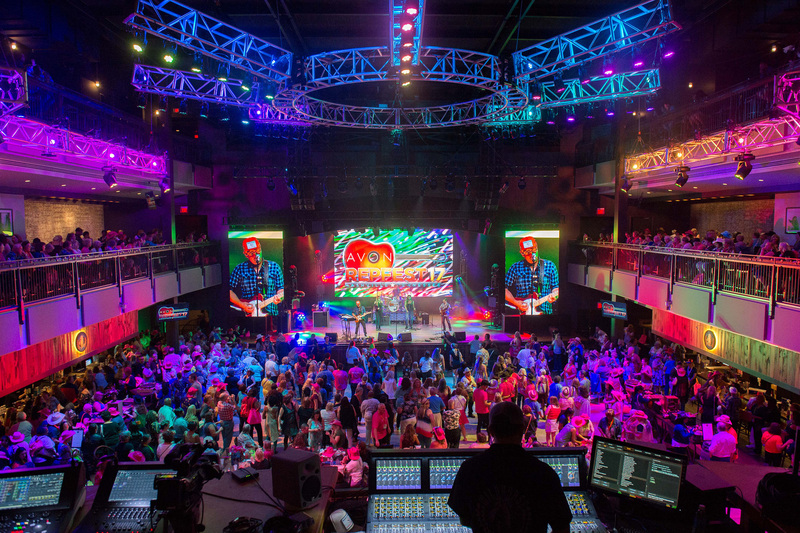 Thousands of Avon Representatives enjoy a special performance by local Nashville musicians. Avon Representatives admire the fireworks display at RepFest’s “Rock on the River” concert and Riverwalk takeover. 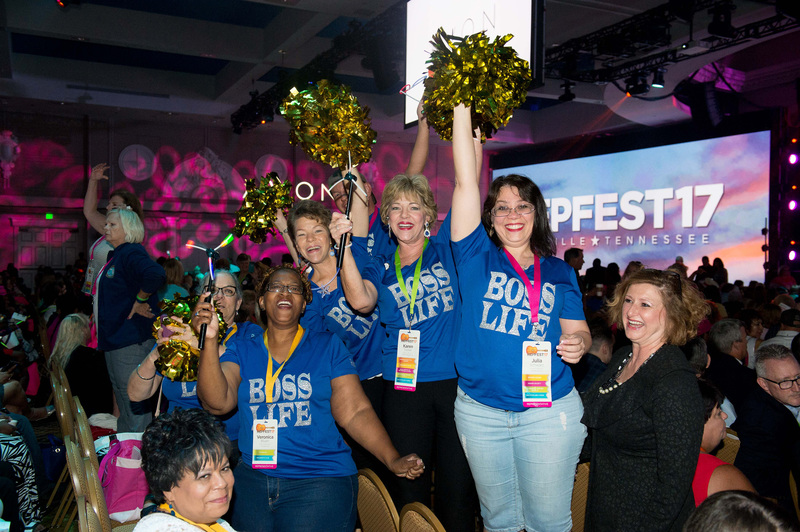 Closing celebrations with Avon Representatives at RepFest 2017.